Hello, everyone! I’m back from my vacation and I have the sunburn to prove it. 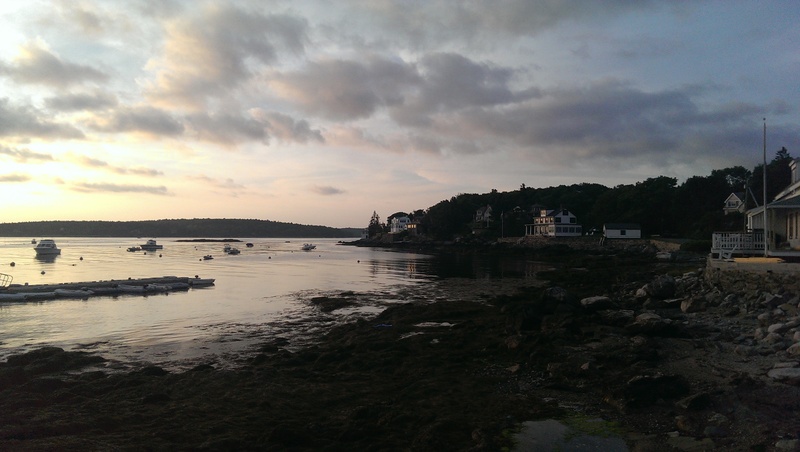 I had a very nice time on the coast of Maine, doing all sorts of adventurous things like kayaking and archery lessons and outlet shopping with my inexhaustible sister. I’m back to real life now, which is a bit of a let-down, and that means I’m also back to the long, frustrating process of checking my email every three seconds for responses from literary agents that will never come. That’s right. I took your advice and decided to query a couple of promising candidates in July, and I’m at that annoying point where not sure if it was the right thing or not. I’ve already gotten one rejection, but I’m not surprised by it. It was from an agent I queried three years ago, before self-publishing The Last Death: a very well-known and successful agent that was bound to pass me by. Funnily enough, I received exactly the same form letter this time, with exactly the same slightly off-putting implication of inadequacy and a big dose of the “gatekeeper” attitude that nearly all agents swear they simply don’t possess. Rejection is always tough, and the person being rejected is always a little bit bitter and bound to complain, but sheesh. Some people just don’t make it easy for us to be gracious. Anyway, I’m still waiting on four or five other replies (or at least for the six-week mark to pass without a reply), and I’m growing steadily more antsy. It’s beginning to affect my progress. I feel like there’s no point in starting the last book in the series if I’m just going to be in purgatory for the next month or so. If no one shows interest in the first one, what’s the point of continuing on? This is all nonsense, of course. I know that. It’s a product of the anxiety and preemptive self-defeat that are getting me down. It’s silly. I’ve written three complete novels since November, which is a feat in and of itself, and they are damn good books. I’m just craving enough validation to push me out of the doldrums and back towards creativity, and I can’t let that stop me. But…you know. It’s happening anyway. Maybe I just need to settle back into my daily routine, which has started to include writing or editing every day. That’s a good thing. I had my little break from reality, and now it’s time to buckle back down. I just think that if none of these agents are interested, I’m going to continue with the self-publishing route. I don’t want to end up waiting another two years while I query and query before putting more books on the market. I just don’t. My career, such as it is, will be what I make it. And I want to make it happen. So unless something miraculous happens – and I do hope it does – I would expect to see Dark the Night Descending in print sometime this fall. Onward and upward.